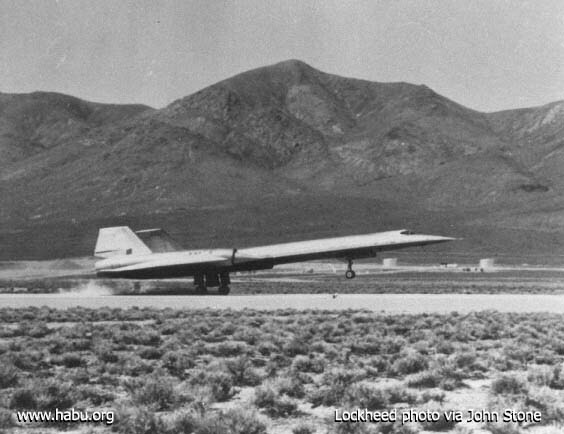 "It was determined that we would make a high-speed taxi test going down our 8000-foot concrete runway towards the Groom Lake bed which had probably 4-5 miles of lake bed suitable for landing beyond the end of the runway, so that seemed like a safe direction to go. The idea was that as I reached takeoff speed was to lift it off the ground and set it back down to see how it felt. "Well, when we went down the runway and hit takeoff speed and lifted off, it was immediately out of control. It was oscillating longitudinally and laterally. It was obvious the airplane was very unstable. We did not have the damper systems on; no one ever turned the damper systems on on the first flight because you didn't trust them! 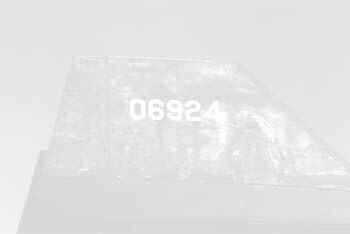 "Finally I got hold of it, set it back down on the ground, and was probably a mile or so out on the lakebed at that point in time. Immediately disappeared into a cloud of dust. The tower called to see if I was all right. I replied 'I'm fine, I'm rolling out to slow down and turn around and taxi back.' The tower couldn't hear me becaue the antenna for my UHF transmitter was on the bottom of the fuselage and was blanked out for the direction of the tower's line of sight. So no one knew what was happening and in the dust kept waiting for the burst of flames as I ran into the mountains. After I turned the corner, if Kelly Johnson hadn't already had a heart attack, he probably breathed a sigh of relief. I taxied back in, and we talked about it that night...I said, 'Why don't we turn the dampers on before we try this again?' We all agreed that was a very good idea! "I still didn't know what had gone wrong, but I did know we had 12 to 15 thousand pounds of fuel on board for the taxi test. Flying an F-104, that's an awful lot of fuel, that's more that it carries, but we carried 76,000 pounds of fuel so we hardly had anything at all. It was all in the back end. The airplane was statically unstable, which meant that anytime you move the controls or if the airplane had any movement, you had to make a correctional movement with the controls to stop it, otherwise it would keep right on going; where if the airplane is stable, that means it will tend to return to its normal position, say if it hits some rough air or something like that. This is because of the center of gravity and its location to the center of pressure, which is usually about the midpoint of the wing. 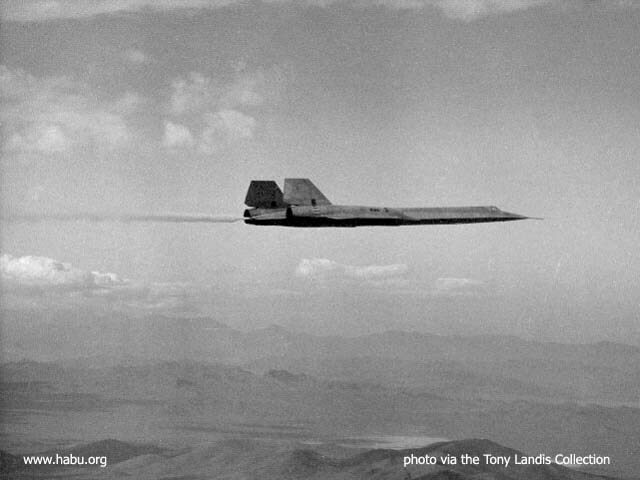 "We had so much fuel in the back end of the airplane that the center of gravity was about 3 percent beyond the aft limit, and we were terrifically unstable. On the actual flight where we got airborne and stayed there, we were probably 3 percent forward of where our normal fuel loading would be. 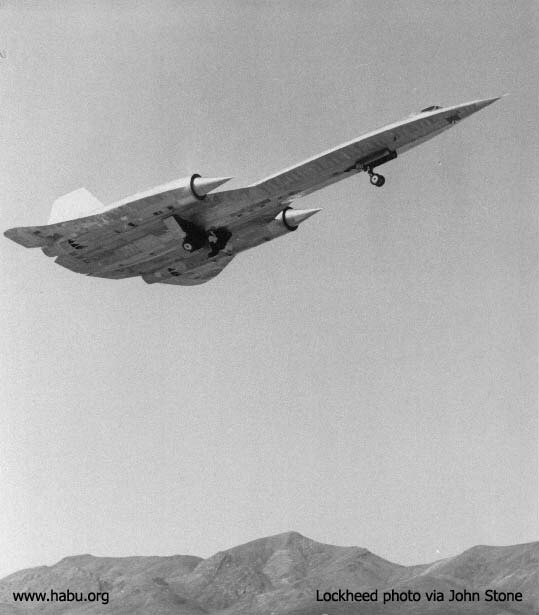 The reason that happened was that the ground crew and most of the people who were getting the airplane ready for this taxi test didn't know that we had decided to lift off the airplane and set it back down again that night except for Kelly, myself and the flight test engineer...no one told them!"